Every year portions of Riverside are shut down as thousands pack the streets to cheer on the riders for Tulsa Tough. Everyone from seasoned veterans to first-time riders is welcome. The Tulsa Divas and one Tulsa grandmother, in particular, are breaking the mold. Elaine Tinsley is not your average grandmother. At 55-years-old she is living life to the fullest. This weekend she biked 66 miles in The Gran Fondo, but it wasn't always this easy for her. 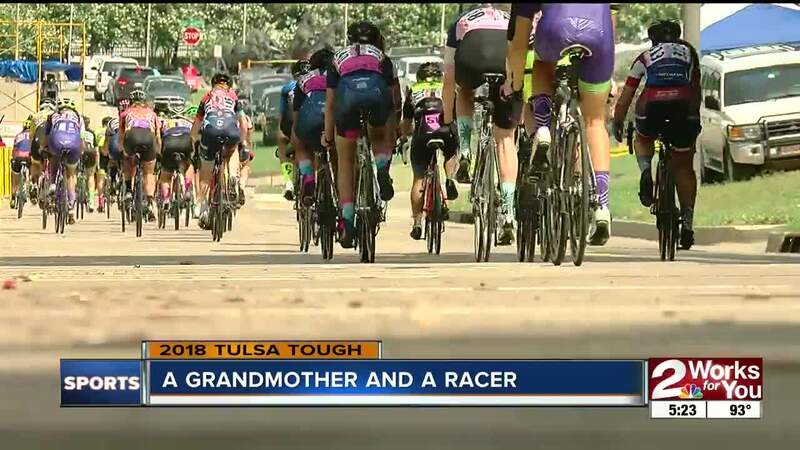 Tinsley rides with The Tulsa Divas, a group of women who love cycling as well as supporting each other. For anyone thinking of getting into riding, Tinsley said your age should never hold you back.